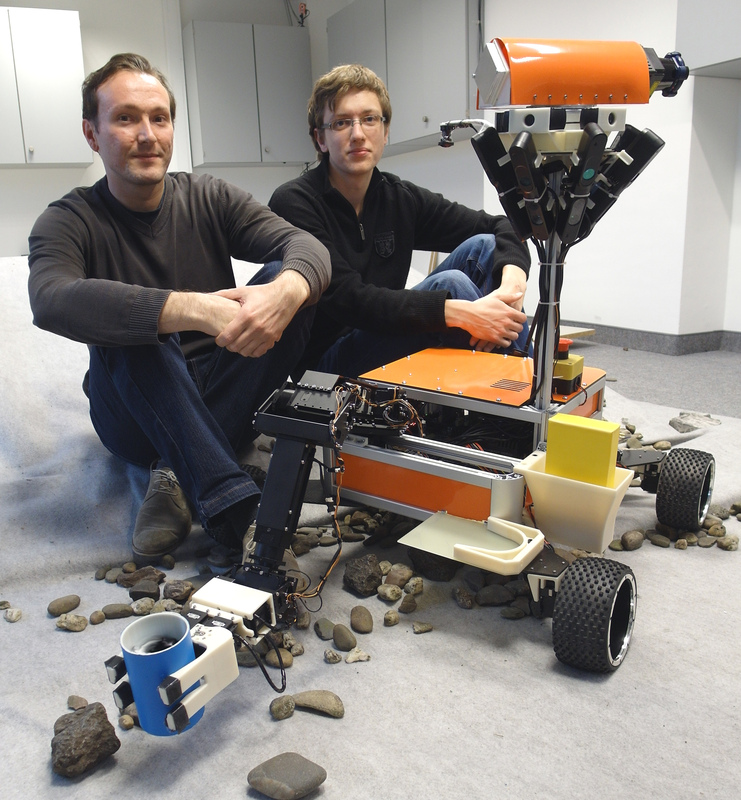 A camera team visited our lab to produce a short movie about our team for DLR. 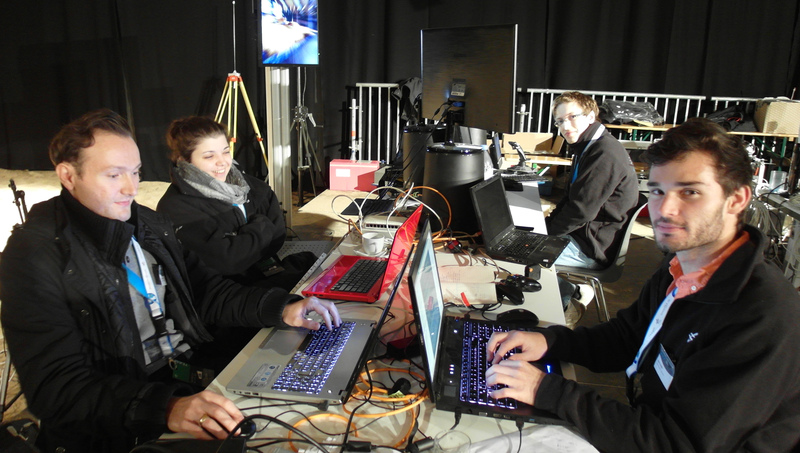 We finished sucessfully the test of the network emulator. 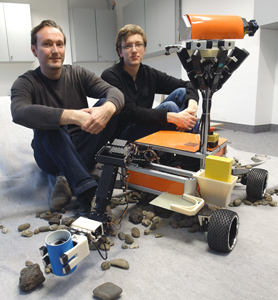 Representatives of DLR visited our lab to inform themselves about the progress of our preparations. 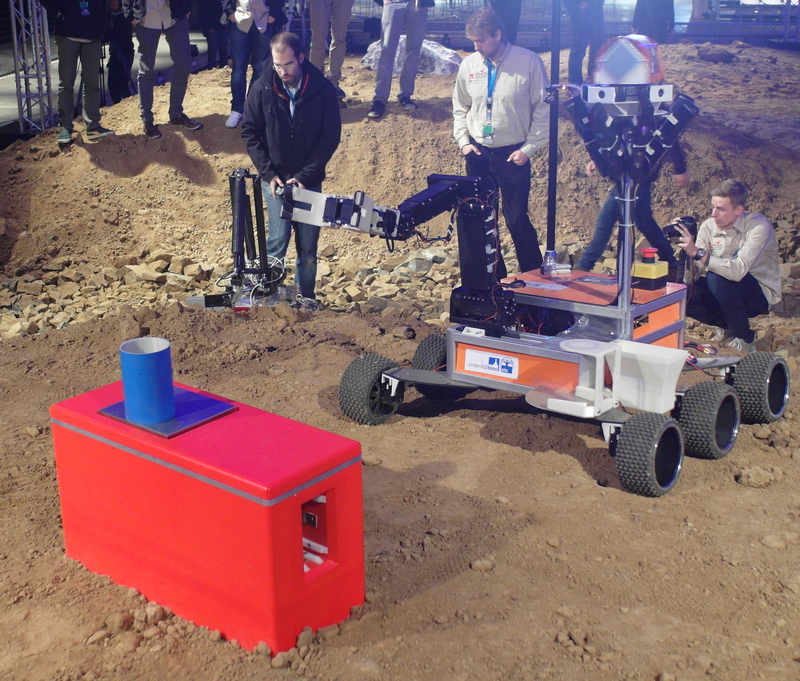 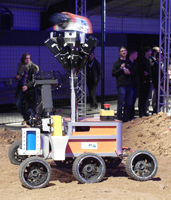 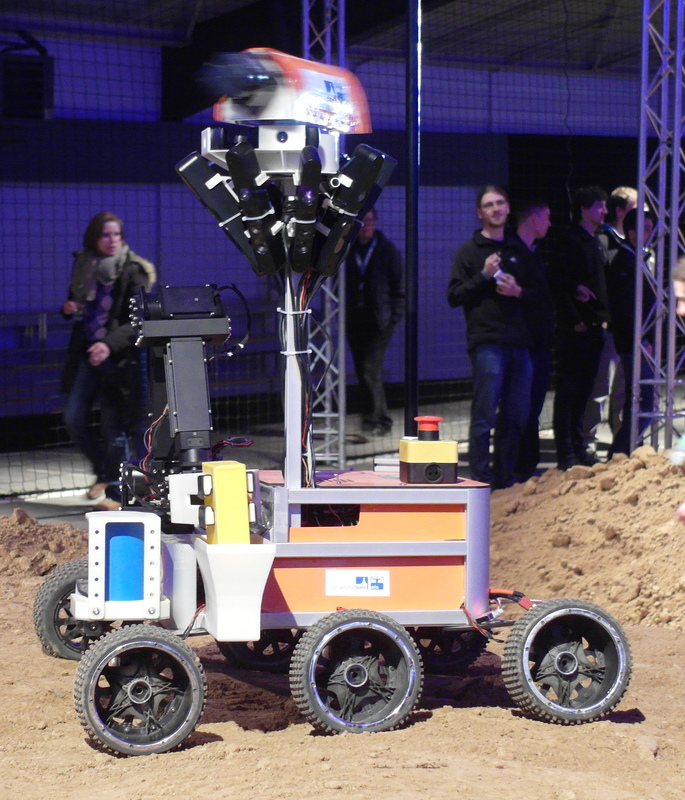 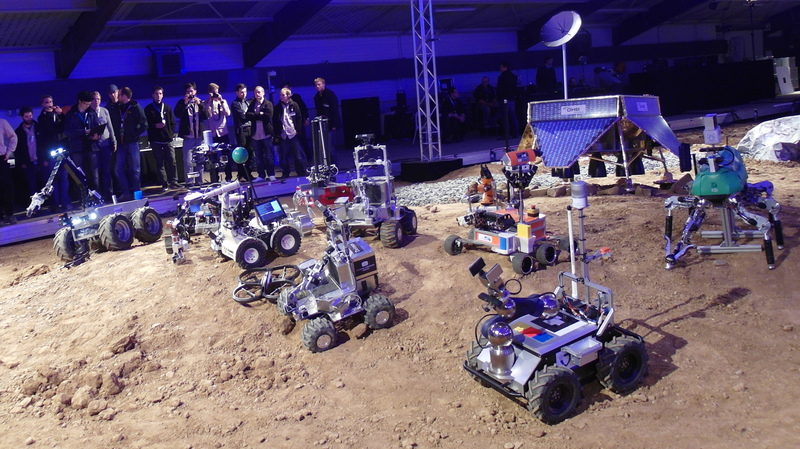 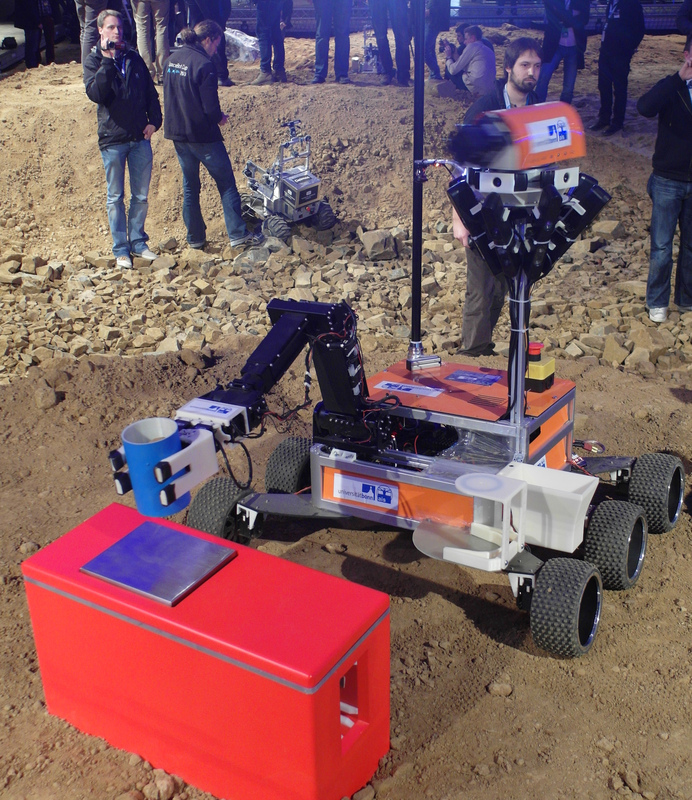 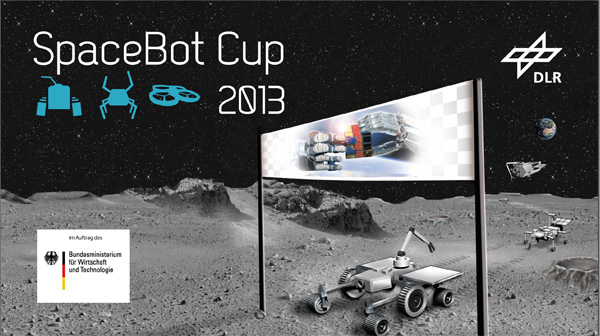 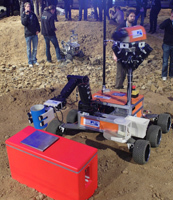 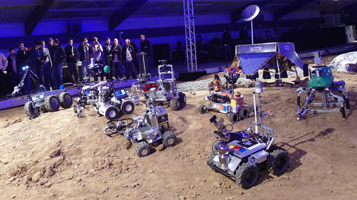 The official Kickoff for the DLR SpaceBot Cup took place in Berlin. 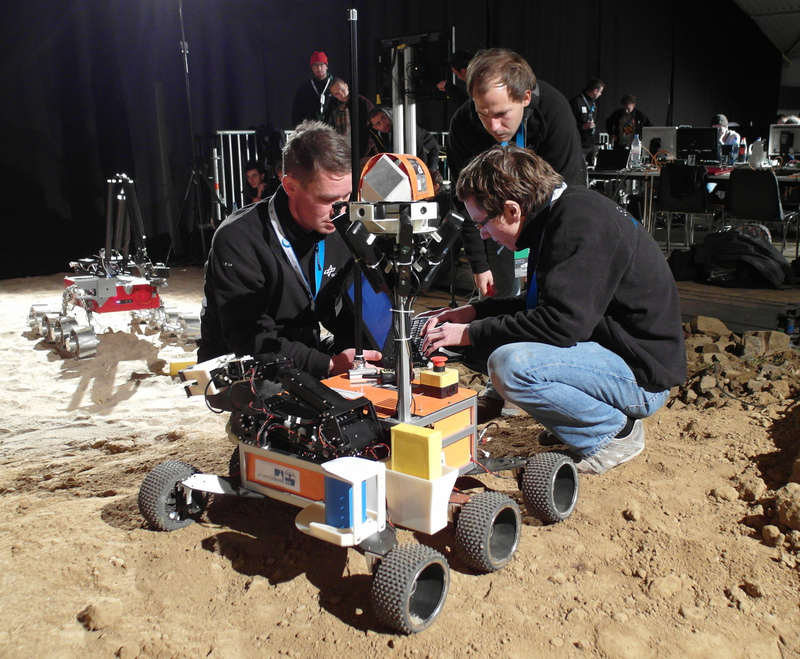 Our team Nimbro Centauro is one of ten qualified teams who receive support from BMWi. 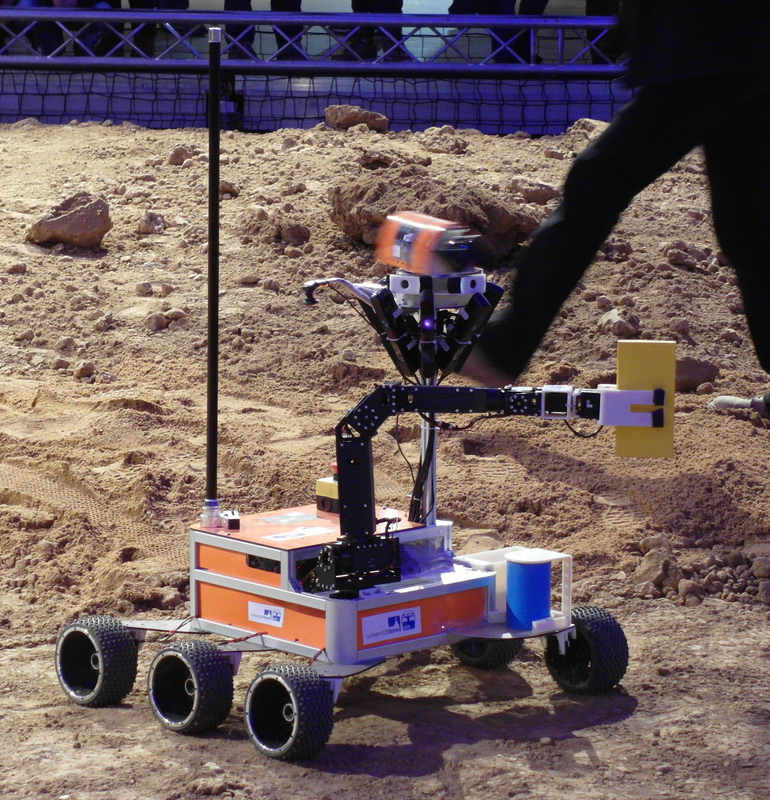 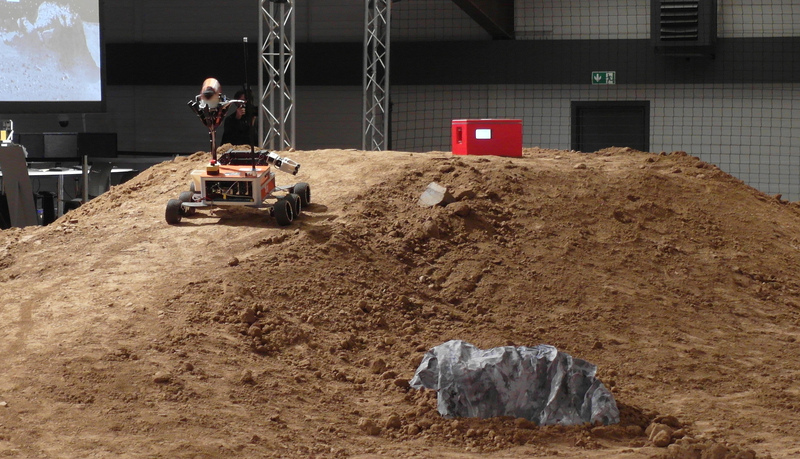 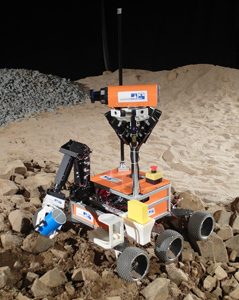 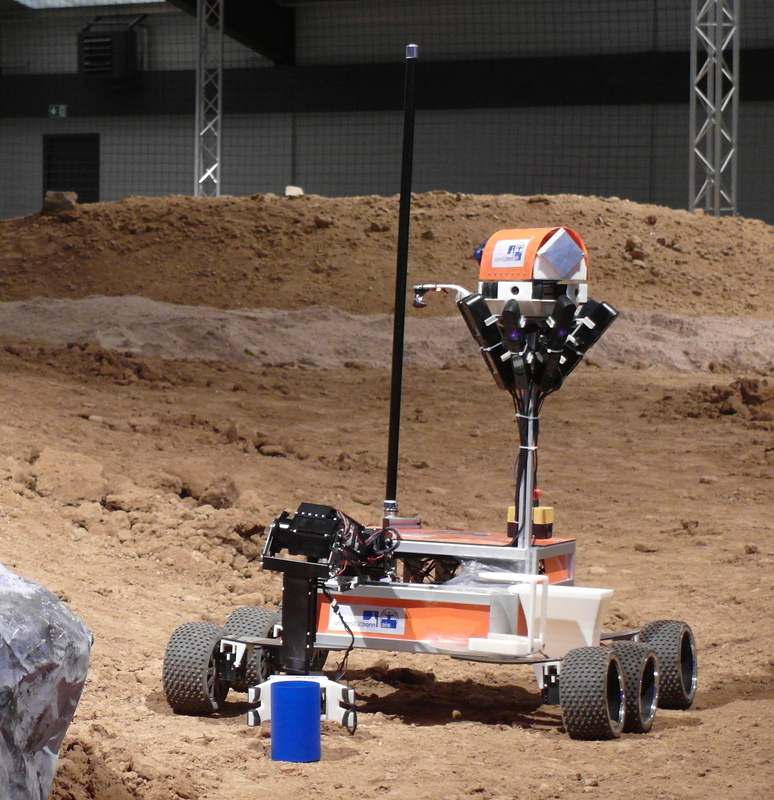 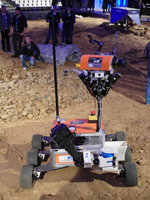 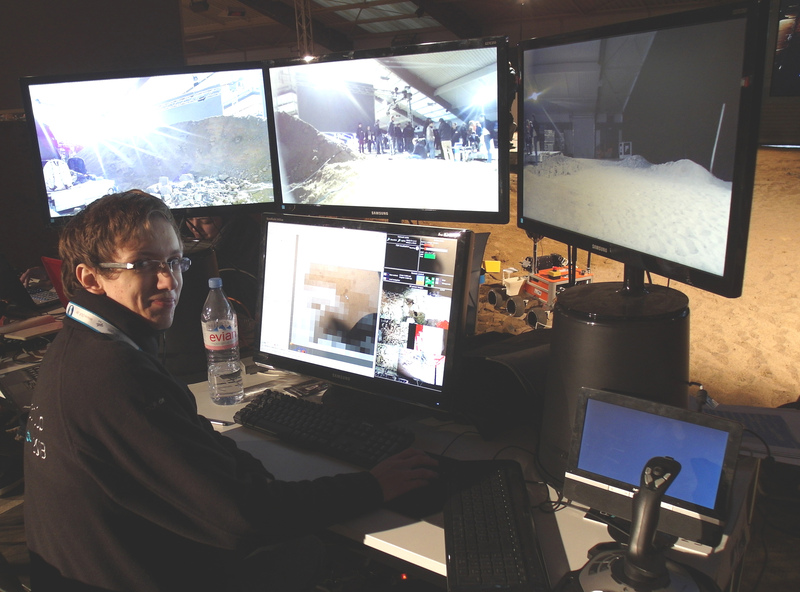 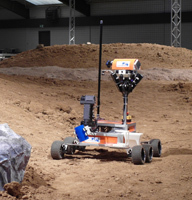 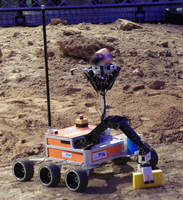 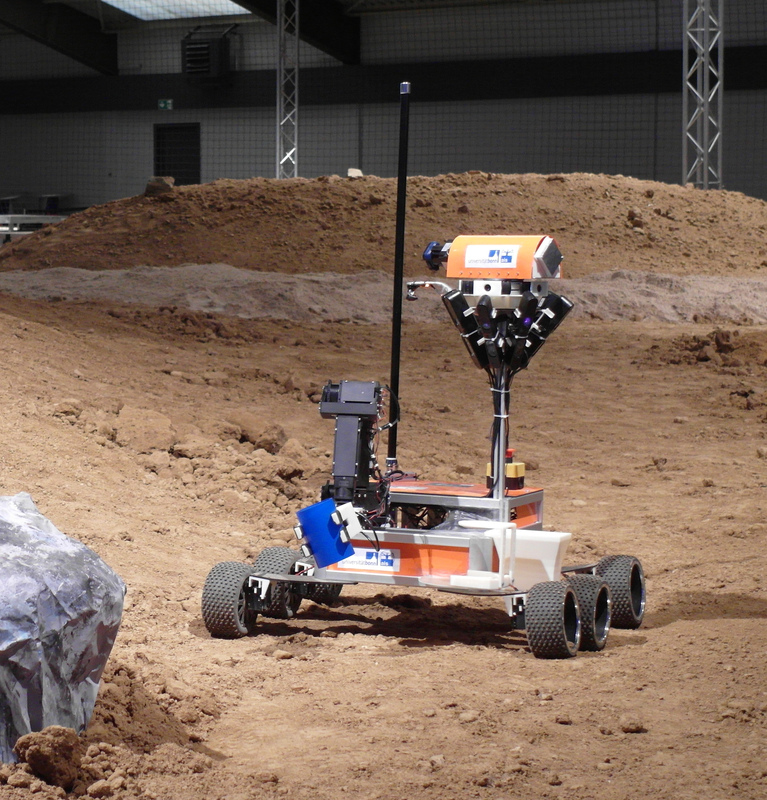 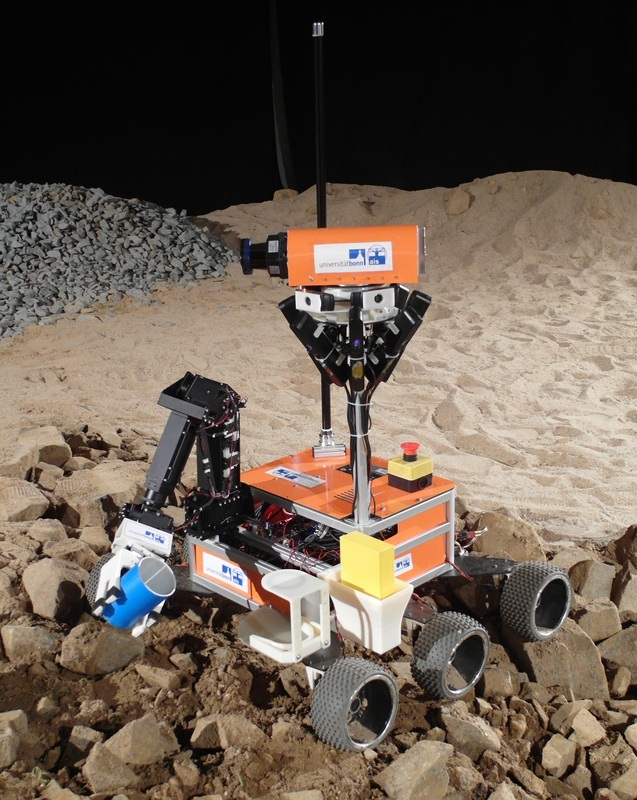 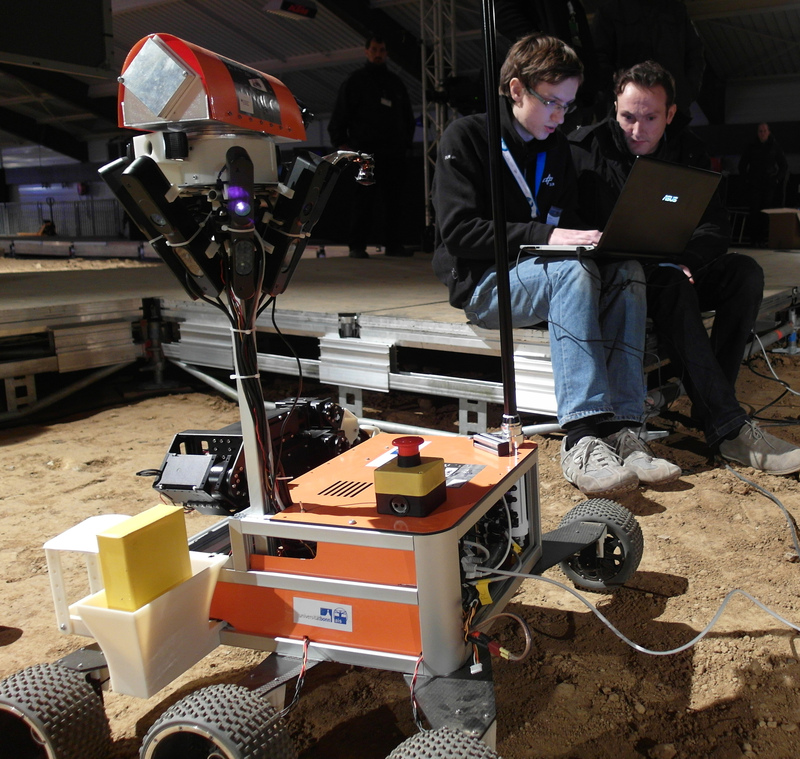 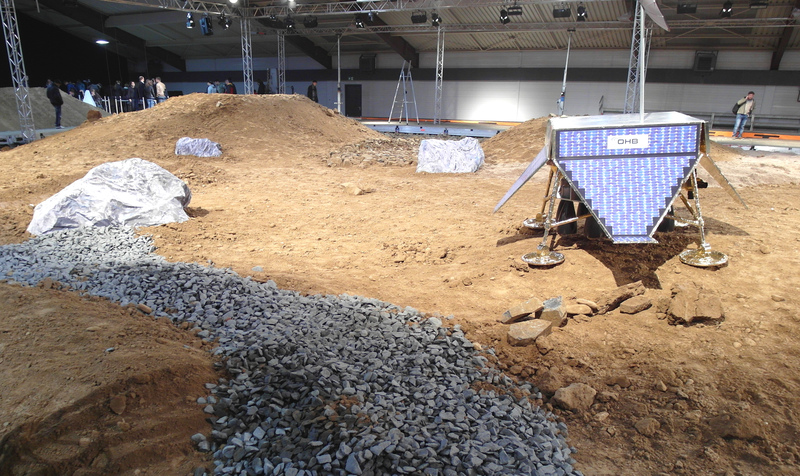 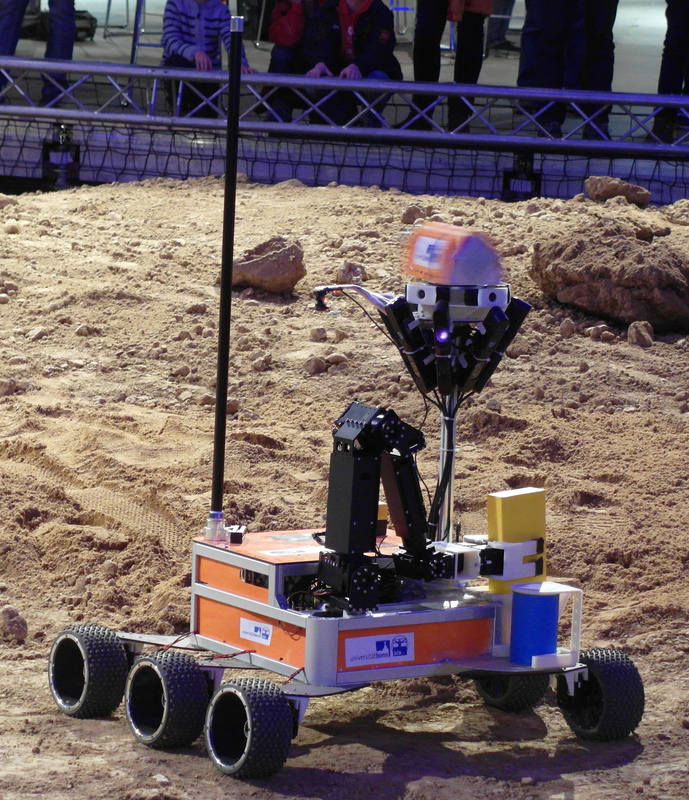 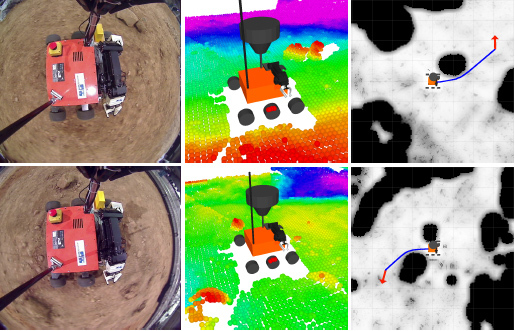 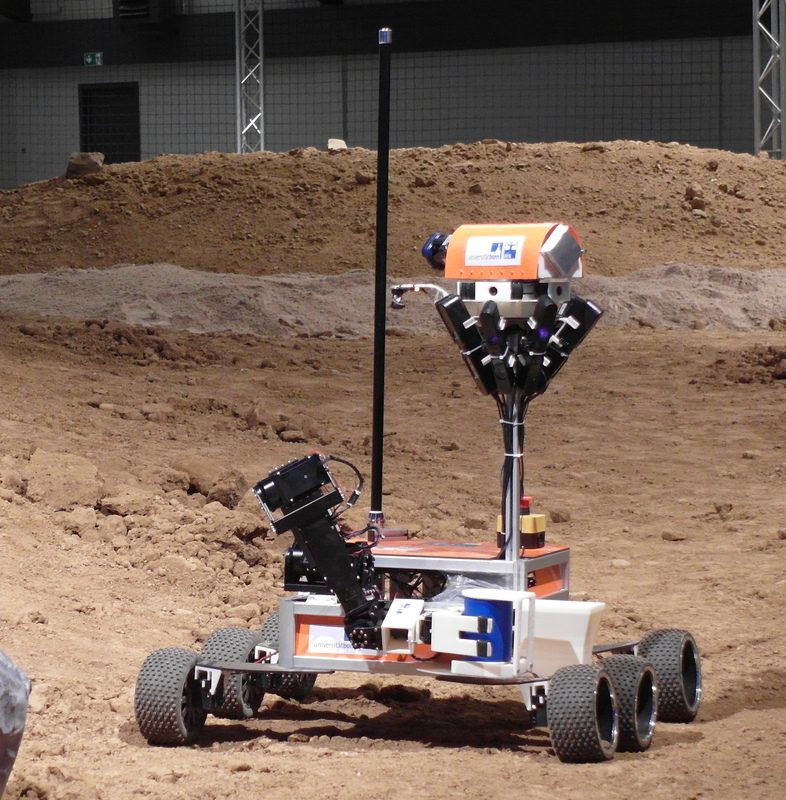 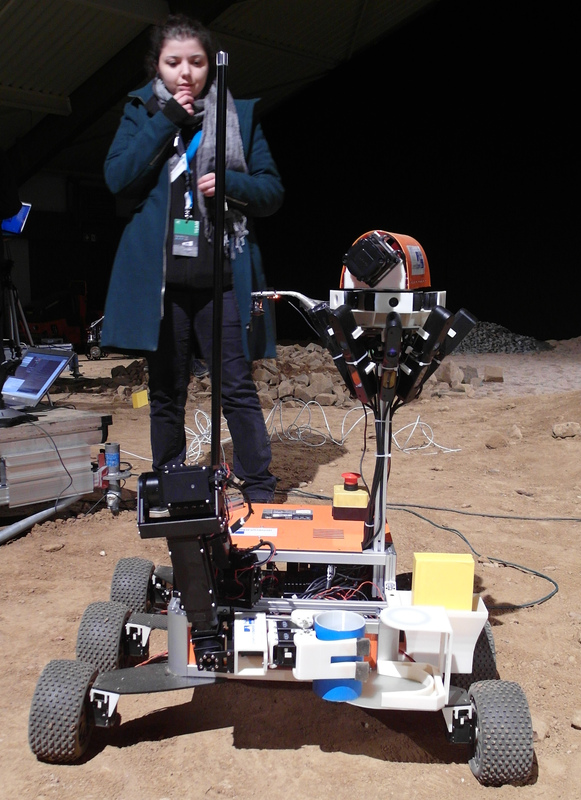 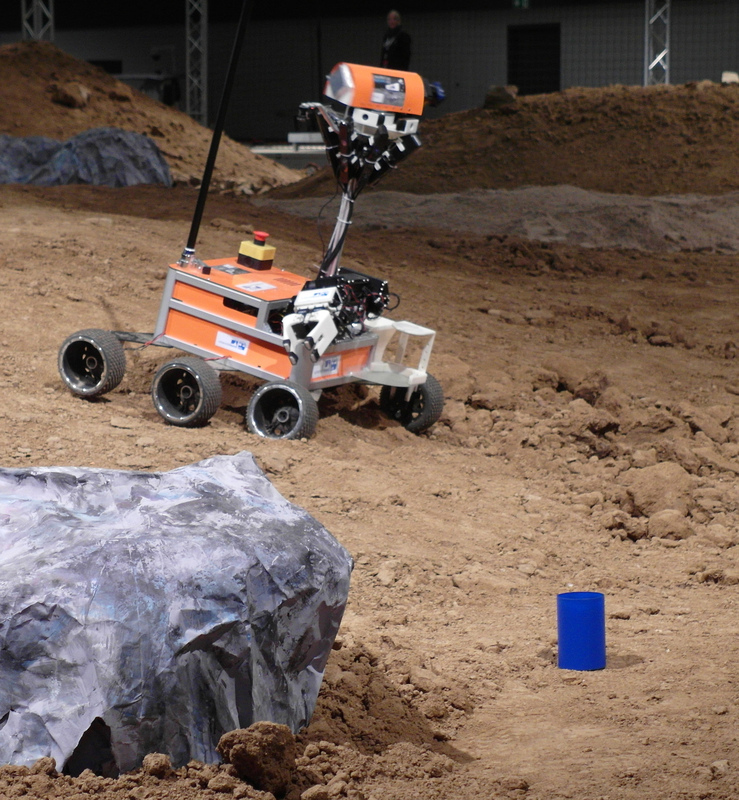 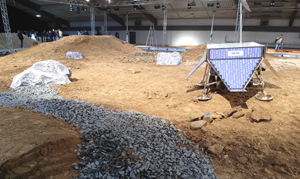 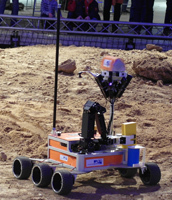 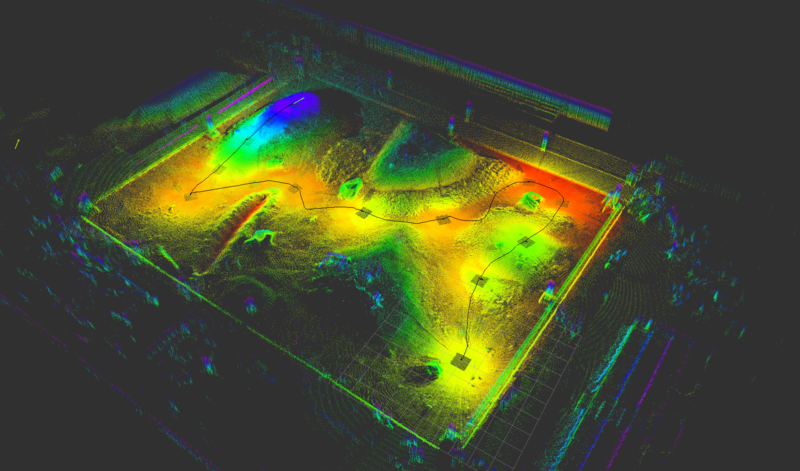 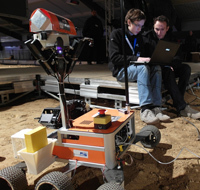 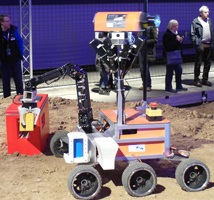 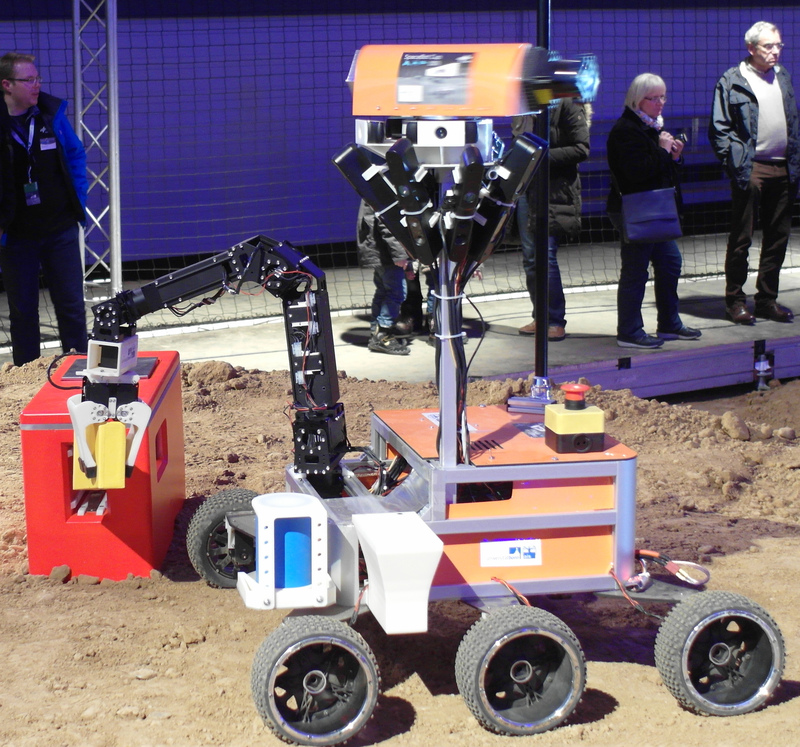 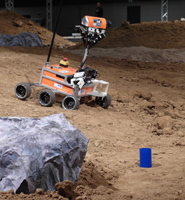 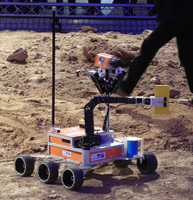 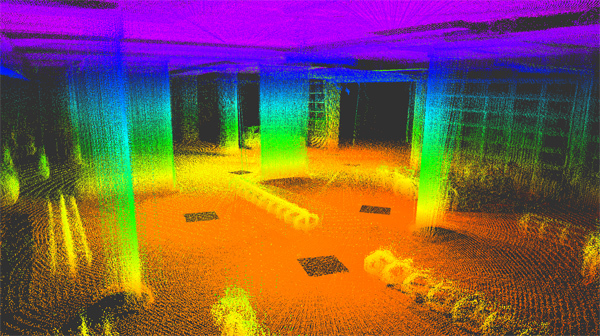 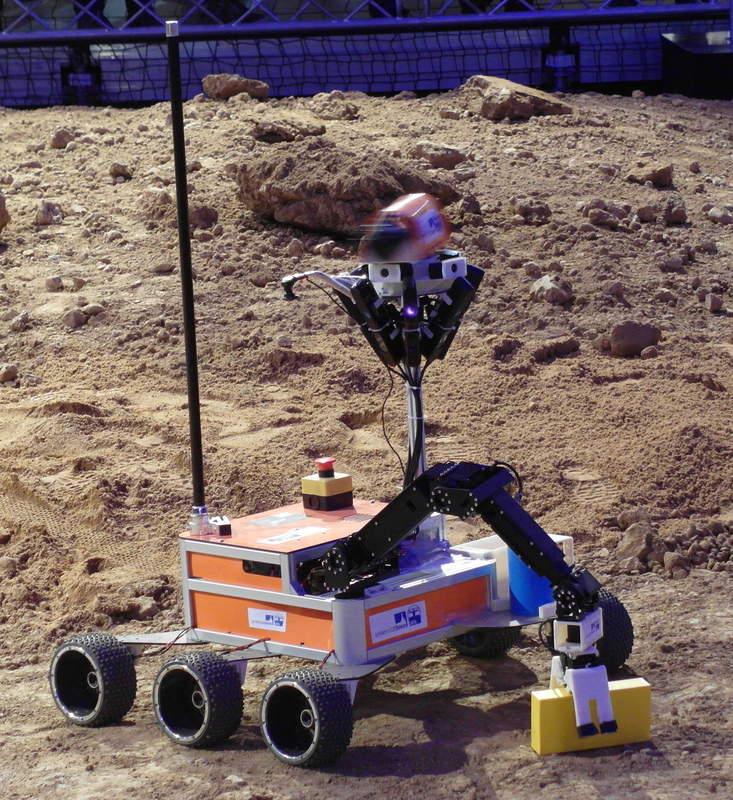 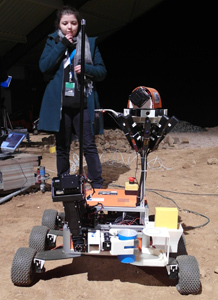 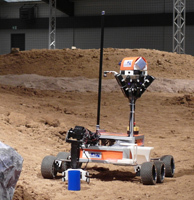 The tasks in this challenge comprise autonomous exploration and mobile manipulation in rough terrain.